Successfully Added Conquest S6 Pro Rugged Smartphone - 5 Inch HD Screen, Android 5.1, MTK8752 Octa Core CPU, 3GB RAM, 32GB Memory, IP68 (Yellow) to your Shopping Cart. No weather change or adventure is too tough for the Conquest S6 Pro. This sturdy rugged phone comes with a beautiful 5 inch HD screen, Android 5.1 and IP68 waterproof rating. If you are an adventurer in life or at hearts - your gadgets should reflect that – so that when an opportunity to do something cool comes up, your phone’s safety considerations do not stand in your way. 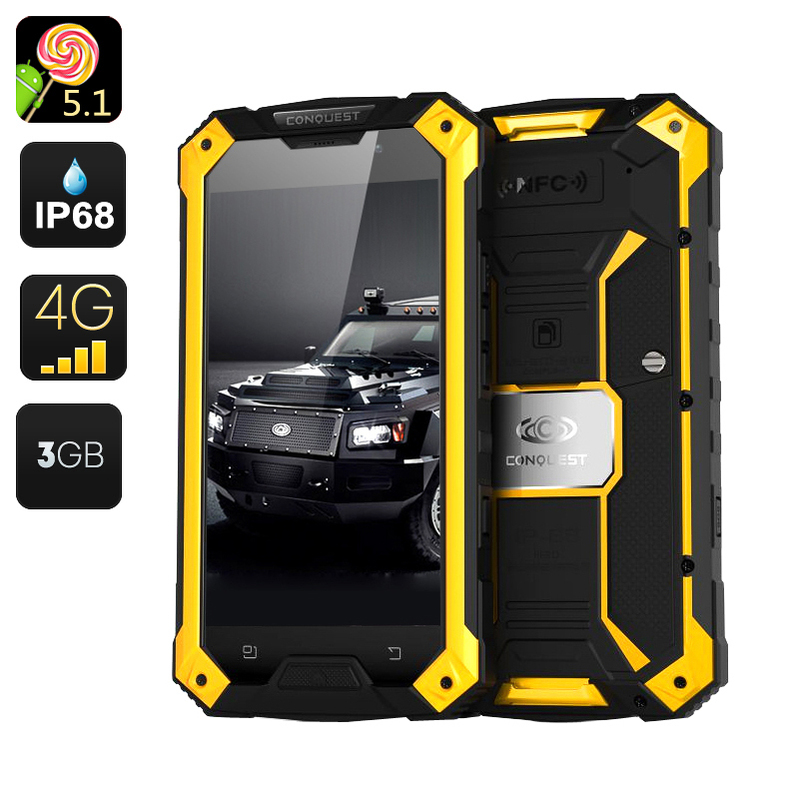 The Conquest S6 Pro Rugged Smartphone comes with a 12 months warranty, brought to you by the leader in electronic devices as well as wholesale rugged smartphones..